Tech at Night: Team Obama pirates software. Ted Cruz wants answers on FCC. Tech at Night: Regulation picking winners and losers in television and radio. Let’s deregulate both and also reform copyright. 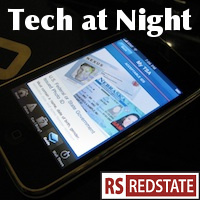 Tech at Night: Patent trolls strike back. ACLU goes too far against FISA. Seen on RedState Friday: Geoffrey Manne talks about FCC rigging the spectrum game, which is such a shame since spectrum auctions are one of the greatest regulatory innovations we’ve seen. I bet you heard all there was to hear about Ted Cruz after the shutdown ended? Nope. He’s taking on the President’s nominee for FCC Chairman, Tom Wheeler. He wants answers, and he’s entitled to get them. Bitcoin and crime just seem to go hand-in-hand. Wow, what a story: Team Obama has pirated software as the basis of the Obamacare website. Amazing. Copyright infringement. Speaking of copyright, it’s the copyright holders who oppose Pandora’s preference to expand compulsory licensing. Instead, we should repeal it entirely, and let the free market decide radio prices.